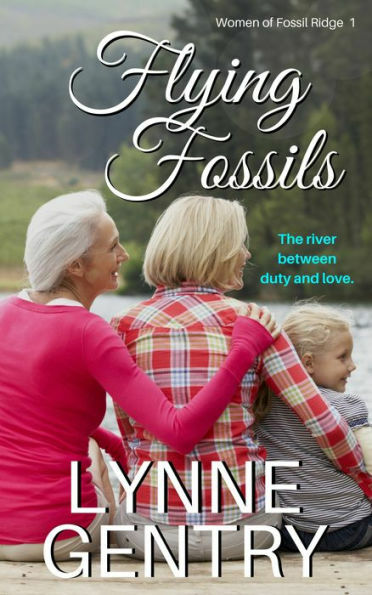 *Flying Fossils (Not Christian Just Clean Romance of the day, Sponsor. 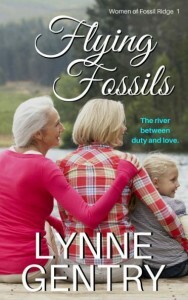 3 Generations of Strong Women) by Lynne Gentry. Price: $0. Genre: Not Christian Just Clean Romance of the day, Sponsor. 3 Generations of Strong Women. Rated 4.9 stars on 19 review. 431 pages. ASIN: B07CGYBJYF. 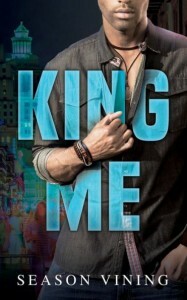 *King Me (African American Contemporary Romance Deal of the Day, Sponsor, What secret has Delaney hidden and what secrets has Voodoo hidden) by Season Vining. Price: $2.99. Genre: African American Contemporary Romance Deal of the Day, Sponsor, What secret has Delaney hidden and what secrets has Voodoo hidden. Rated 4.8 stars on 26 review. Paperback version! ASIN: B07L8GR4WM. *Delighting in Your Company (Time Travel Romance Deal of the Day, Sponsor, Romance is the last thing she’s looking for until she meets a local plantation owner, But the man she loves is a ghost) by Blair McDowell. Price: $0.99. Genre: Time Travel Romance Deal of the Day, Sponsor, Romance is the last thing she’s looking for until she meets a local plantation owner, But the man she loves is a ghost. Rated 4.8 stars on 10 review. Paperback version! ASIN: B07LGY2ZR5. *Nothing to Lose (The Blackbridge Series, #4) (Romantic Suspense Deal of the Day, Sponsor, If you like Tough Women, Stoic Men) by Claire Boston. Price: $3.99. Genre: Romantic Suspense Deal of the Day, Sponsor, If you like Tough Women, Stoic Men. Rated 5 stars on 1 review. Paperback version! ASIN: B07LC32N8D. **Cadence Untouched (New Adult Romance Deal of the Day, Sponsor, The Clock is Ticking until he Returns to a Life awaiting Him in Washington, Will their Love Survive) by Dakota Willink. Price: $2.99. Genre: New Adult Romance Deal of the Day, Sponsor, The Clock is Ticking until he Returns to a Life awaiting Him in Washington, Will their Love Survive. Rated 4.3 stars on 60 review. 228 pages. Paperback version! ASIN: B07K9L1RH1. *Beyond Risk (Romance Deal of the Day, Sponsor, A Fish and Wildlife Officer who finds out she is a murderer’s target, A tough Lieutenant who puts his life on the line to protect here, an attraction that might consume them before bullets do) by Connie Mann. Price: $7.49. Genre: Romance Deal of the Day, Sponsor, A Fish and Wildlife Officer who finds out she is a murderer’s target, A tough Lieutenant who puts his life on the line to protect here, an attraction that might consume them before bullets do. Rated 4.1 stars on 32 review. Paperback version! ASIN: B07GC4KXSM. * Falsified (Romance of the Day, Sponsor, Multicultural Romance) by A. Akinosho. Price: $0. Genre: Romance of the Day, Sponsor, Multicultural Romance. Rated 5 stars on 1 review. Sign up for a free copy! *The Sensual Retiree: The sensual journeys of a senior citizen (Romance Deal of the Day, Sponsor) by Gordon Smith. Price: $2.99. Genre: Romance Deal of the Day, Sponsor. Rated 4 stars on 6 review. 266 pages. ASIN: B07D1MYF27. *Trust (Things That Matter Series Book 1) (Paperback) (Steamy Mafia Romance Deal of the Day, Sponsor, When Paige discovers the truth about her past who will she trust) by Casey Diam. Price: $11.99. Genre: Steamy Mafia Romance Deal of the Day, Sponsor, When Paige discovers the truth about her past who will she trust. Rated 4.7 stars on 35 review. 271 pages. ASIN: B07DNRXN3Z. ***Utterly Forgettable: A Whisky’s Novel (Paperback) (Steamy Romance Deal of the Day, Sponsor, Zane thinks Cathryn is plain, Cathryn thinks Zane is emotionally stunted, Neither is prepared for their hot romance and amazing chemistry) by RB Hilliard. Price: $0. Genre: Steamy Romance Deal of the Day, Sponsor, Zane thinks Cathryn is plain, Cathryn thinks Zane is emotionally stunted, Neither is prepared for their hot romance and amazing chemistry. Rated 4.5 stars on 106 review. ASIN: B01DOR1EBO. ***His End Game (Paperback) (Steamy Romance Deal of the Day, Sponsor, The Best Night of Her Life, In the morning Max disappears, After 5 years he is back, Will Ellie give him a second chance) by RB Hilliard. Price: $15.00. Genre: Steamy Romance Deal of the Day, Sponsor, The Best Night of Her Life, In the morning Max disappears, After 5 years he is back, Will Ellie give him a second chance. Rated 4.5 stars on 155 review. 371 pages. ASIN: B00IDAPVBW. ***Fractured Beat (Meltdown Book 1) (Amazing Steamy Rock Star Romance Deal of the Day, Sponsor, Fun and romantic story) by RB Hilliard. Price: $15.00. Genre: Amazing Steamy Rock Star Romance Deal of the Day, Sponsor, Fun and romantic story. Rated 4.7 stars on 281 pages. review. 341 pages. ASIN: B01LWX0RBT. **His Frenemy (The Sumner Brothers Book 1) (Steamy Romance Deal of the Day, Sponsor, NY Times Bestselling Author, Contemporary Romance) by Lori Ryan, Kay Manis. Price: $0.99. Genre: Steamy Romance Deal of the Day, Sponsor, NY Times Bestselling Author, Contemporary Romance. Rated 4.5 stars on 59 review. ASIN: B077XJY519. ***NORMAL: Part One (Something More Book 1) (Steamy Romance of the Day, Sponsor, He represents everything she despises about high school, but fate keeps throwing them together) by Danielle Pearl. Price: $0. Genre: Steamy Romance of the Day, Sponsor, He represents everything she despises about high school, but fate keeps throwing them together. Rated 4.5 stars on 339 review. 390 pages. ASIN: B00MN075MG. *Today We Die (The Killing Sands Book 1) (Paperback) (Suspense Thriller Deal of the Day, Sponsor, A Brilliant, Thought Provoking Read, Righting the Wrongs of our Ancestors) by Daniel P. Wilde. Price: $11.99. Genre: Suspense Thriller Deal of the Day, Sponsor, A Brilliant, Thought Provoking Read, Righting the Wrongs of our Ancestors. Rated 4.8 stars on 35 review. 380 pages. ASIN: B075299RJ2. **Purple Reason (Paperback) (Political Thriller Deal of the Day, Sponsor, A Newly Elected Independent President of United States, Two Parties are not Happy about the Changes, Makes you Wonder if this is Going on Right Now) by Doug Mennen. Price: $16.99. Genre: Political Thriller Deal of the Day, Sponsor, A Newly Elected Independent President of United States, Two Parties are not Happy about the Changes, Makes you Wonder if this is Going on Right Now. Rated 4.7 stars on 75 review. ASIN: B01M3QF0QI. *The Double Life of Tutweiler Buckhead (Paperback) (Crime Thriller Deal of the Day, Sponsor, A band of champions searches for the missing pieces in the evil plot of a local drug kingpin) by Miriam Pia. Price: $20.97. Genre: Crime Thriller Deal of the Day, Sponsor, A band of champions searches for the missing pieces in the evil plot of a local drug kingpin. Rated 5 stars on 1 review. There is an ebook for $4.99 available from the author website! ISBN: 1628572256. *Ctrl-Alt-Delete (Hagar Trilogy Book 1) (Adult Thriller Deal of the Day, Sponsor, A journey through South Wales, A serial Killer) by Dave Lewis. Price: $4.99. Genre: Adult Thriller Deal of the Day, Sponsor, A journey through South Wales, A serial Killer. Rated 5 stars on 2 review. 306 pages. ASIN: B005Z284A6. *The Black Kiss of Death: Montega Chronicles Book 1 (Paperback) (African American Crime Thriller Deal of the Day, Sponsor, LA Gang Warfare between Cartels and Organized Crime Syndicates) by Keon Smith. Price: $15.00. Genre: African American Crime Thriller Deal of the Day, Sponsor, LA Gang Warfare between Cartels and Organized Crime Syndicates. Rated 4.8 stars on 32 review. ASIN: B07H44XQHB. *The Perfect Match (Christian Non Fiction Deal of the Day, Sponsor, The Art of Dating, What Advice God has for you when looking for someone special) by Wes Raley. Price: $0.99. Genre: Christian Non Fiction Deal of the Day, Sponsor, The Art of Dating, What Advice God has for you when looking for someone special. Rated 5 stars on 24 review. 214 pages. ASIN: B07FKSRLMP. *The Cross Tells Me (Christian Fiction Deal of the Day, Sponsor, Inspirational Christian Fiction, A story of Faith and the Power of Faith) by Darren Cox. Price: $3.99. Genre: Christian Fiction Deal of the Day, Sponsor, Inspirational Christian Fiction, A story of Faith and the Power of Faith. Rated 4 stars on 28 review. 110 pages. Paperback version! ASIN: B01MRDF23R. ***Broken Skies (Dystopian Science Fiction Deal of the Day, Sponsor, Her Twin is kidnapped by an Alien Ship, which leaves behind an Alien Boy, Start of an Uneasy Alliance) by Theresa Kay. Price: $0.99. Genre: Dystopian Science Fiction Deal of the Day, Sponsor, Her Twin is kidnapped by an Alien Ship, which leaves behind an Alien Boy, Start of an Uneasy Alliance. Rated 4.4 stars on 210 review. 297 pages. ASIN: B01MCVBE8Q. *Dragon Knight Chronicles: The Awakening (Science Fiction for All Ages Deal of the Day, Sponsor, If you like Lord of the Rings) by Andrew Wichland. Price: $2.99. Genre: Science Fiction for All Ages Deal of the Day, Sponsor, If you like Lord of the Rings. Rated 4.3 stars on 17 review. 122 pages. ASIN: B01GAFBQGA. *Wild Hearts: The Coming Night (Science Fiction Adventure Deal of the Day, Sponsor, Alien Wraiths versus Dragon Knights in Power Suits, Earth lies in the Balance) by Andrew Wichland. Price: $2.99. Genre: Science Fiction Adventure Deal of the Day, Sponsor, Alien Wraiths versus Dragon Knights in Power Suits, Earth lies in the Balance. Rated 4.5 stars on 6 review. 145 pages. ASIN: B07F43CY3F. * Deliverance (Paperback) (Fantasy Deal of the Day, Sponsor, Beautifully Written, Surprising Plot) by Samantha Schinder. Price: $15.99. Genre: Fantasy Deal of the Day, Sponsor, Beautifully Written, Surprising Plot. Rated 4.9 stars on 23 review. 419 pages. ASIN: B07MP5J3S9. *The Apollyon Game (Horror of the Day, Sponsor, A macabre mix of truth or dare where if you get the answers wrong, or are not truthful, the consequences will tear your soul apart) by Clive Reznor. Price: $0. Genre: Horror of the Day, Sponsor, A macabre mix of truth or dare where if you get the answers wrong, or are not truthful, the consequences will tear your soul apart. Rated 4 stars on 57 review. 43 pages. ASIN: B075VY65X9. *Elji and the Galrass (Science Fiction Deal of the Day, Sponsor, Many lives must be put in danger to put civilization into its rightful place among the Universal essence) by Colin Sinclair. Price: $3.99. Genre: Science Fiction Deal of the Day, Sponsor, Many lives must be put in danger to put civilization into its rightful place among the Universal essence. Rated 5 stars on 1 review. 197 pages. ASIN: B07DZJ6LRZ. **The Eden Paradox (Science Fiction Deal of the Day, Sponsor, A new habitable planet, First two missions failed to return, Third mission to Eden) by Barry Kirwan. Price: $14.99. Genre: Science Fiction Deal of the Day, Sponsor, A new habitable planet, First two missions failed to return, Third mission to Eden. Rated 4.4 stars on 46 review. 465 pages. ASIN: B07N35L6F4. *Dragon Compass: Book One of Raizen (Epic Fantasy of the Day, Sponsor, Mythology and Folk Tales) by John Bueter. Price: $0. Genre: Epic Fantasy of the Day, Sponsor, Mythology and Folk Tales. Rated 5 stars on 5 review. 356 pages. ASIN: B07JR7ZL9V. *The Sugar Merchant (Paperback) (Historical Fiction Deal of the Day, Sponsor, A man trained to be a merchant and a spy, 11th century Europe, Journeys to the great trading cities of Cairo, Alexandria, Amalfi and Almeria) by James Hutson-Wiley. Price: $14.99. Genre: Historical Fiction Deal of the Day, Sponsor, A man trained to be a merchant and a spy, 11th century Europe, Journeys to the great trading cities of Cairo, Alexandria, Amalfi and Almeria. Rated 4.8 stars on 8 review. 259 pages. ASIN: B07KJBTC58. *Smiling Ghosts: The world is not what it seems. Neither is Miranda’s new boyfriend. (YA Science Fiction Deal of the Day, Sponsor, First Contact, Arrogant extraterrestrials control the university and most of the earth) by Bridgette Ehly. Price: $2.99. Genre: YA Science Fiction Deal of the Day, Sponsor, First Contact, Arrogant extraterrestrials control the university and most of the earth. Rated 5 stars on 5 review. 365 pages. ASIN: B07HNFKV7S. *ABC Animal Group Name Book 1 Version II (Book For Early Readers Deal of the Day, Sponsor, Learn Animal Group Names, Easy to Read) by Christopher Webb. Price: $15.99. Genre: Book For Early Readers Deal of the Day, Sponsor, Learn Animal Group Names, Easy to Read. Rated 5 stars on 1 review. Please also Visit Website! ***The Finding (The Legend of Oescienne, #1) (Children’s Book of the Day, Sponsor, Children’s Fantasy, Dragons, Elves, Dwarves and Lake Monsters) by Jenna Elizabeth Johnson. Price: $0. Genre: Children’s Book of the Day, Sponsor, Children’s Fantasy, Dragons, Elves, Dwarves and Lake Monsters. Rated 4.3 stars on 124 review. 508 pages. ASIN: B002J9HMQA. *The Aboriginal Cameleer (Children Deal of the Day, Sponsor) by Gordon Smith. Price: $2.99. Genre: Children Deal of the Day, Sponsor. Rated 4.3 stars on 6 review. 189 pages. ASIN: B07HSQ9KH2. *Forever: The Autobiography of Peter Pan & Confessions of Tinkerbell (Paperback) (Adventure Deal of the Day, Sponsor, Fantasy, Beyond Time and Space, Inspired by Dr. Seuss) by Rob Brockman. Price: $15.57. Genre: Adventure Deal of the Day, Sponsor, Fantasy, Beyond Time and Space, Inspired by Dr. Seuss. Rated 5 stars on 1 review. 449 pages. ASIN: B07CWCBJ7C. ***The Secret Life of Mrs. London (Paperback) (Biographical Fiction Deal of the Day, Sponsor, Charmain wants to break free from her husband Jack London’s reckless behavior, Is the enigmatic Harry Houdini her escape) by Rebecca Rosenberg. Price: $13.46. Genre: Biographical Fiction Deal of the Day, Sponsor, Charmain wants to break free from her husband Jack London’s reckless behavior, Is the enigmatic Harry Houdini her escape. Rated 4.4 stars on 259 review. 320 pages. ASIN: B072KRP7MN. *Taming Crazy: Confessions and Lessons (Paperback) (Biographies & Memoirs Deal of the Day, Sponsor, Author’s journey to overcoming crippling anxiety, depression and an obsessive-compulsive disorder) by Alicya Perreault. Price: $11.99. Genre: Biographies & Memoirs Deal of the Day, Sponsor, Author’s journey to overcoming crippling anxiety, depression and an obsessive-compulsive disorder. Rated 4.8 stars on 16 review. 246 pages. ASIN: B07DFRGGGP. *Live True: A Mindfulness Guide to Authenticity (Non Fiction Deal of the Day, Sponsor, Mindfulness and Authenticity keeps us honesty of who we are and who we are not, New Age Non Fiction) by Ora Nadrich, PhD Ronald A. Alexander (Foreword by). Price: $17.95. Genre: Non Fiction Deal of the Day, Sponsor, Mindfulness and Authenticity keeps us honesty of who we are and who we are not, New Age Non Fiction. Rated 5 stars on 46 review. ISBN: 0578432102. *MY CELL PHONE CAN THINK: A Textbook on Artificial Intelligence (Paperback) (Simple Guide to Artificial Intelligence Deal of the Day, Sponsor, Technology Non Fiction, Guide to AI) by Michiro Negishi. Price: $29.99. Genre: Simple Guide to Artificial Intelligence Deal of the Day, Sponsor, Technology Non Fiction, Guide to AI. Rated 5 stars on 3 review. 146 pages. ASIN: B07JBHWCVC. *The Quadity (Nonfiction Deal of the Day, Sponsor, Get answers to deepest questions asked about spirituality, the divine and God, If you liked The Shack) by Jacob I. Pfeiffer. Price: $8.99. Genre: Nonfiction Deal of the Day, Sponsor, Get answers to deepest questions asked about spirituality, the divine and God, If you liked The Shack. Rated 4.8 stars on 34 review. 141 pages. ASIN: B01MZEAI53. *The King and Mrs. Simpson: The True Story of the Commoner Who Captured the Heart of a King (Nonfiction Deal of the Day, Sponsor, True story, Extraordinary love story between the popular king and the enigmatic woman) by Erin Schulz. Price: $4.49. Genre: Nonfiction Deal of the Day, Sponsor, True story, Extraordinary love story between the popular king and the enigmatic woman. Rated 4 stars on 28 review. 142 pages. Paperback version! ASIN: B001CJ9SHO. *21 Financial Myths (Non Fiction Deal of the Day, Sponsor, Business and Money, Prepare Yourself as an Investor, Avoid Common Mistakes and Misconceptions) by Dan Wyson. Price: $2.99. Genre: Non Fiction Deal of the Day, Sponsor, Business and Money, Prepare Yourself as an Investor, Avoid Common Mistakes and Misconceptions. Rated 4.7 stars on 24 review. 111 pages. ASIN: B078YZD5J8. *Mapping Workplace Bullying Behaviours to Moral Disengagement (Nonfiction Deal of the Day, Sponsor, 7 Categories of Workplace Bullying Behaviors) by Terrance Sereda. Price: $6.99. Genre: Nonfiction Deal of the Day, Sponsor, 7 Categories of Workplace Bullying Behaviors. Rated 4 stars on 3 review. ASIN: B07HY59WRS. *The Passive Income Guide: What is your return on life? (Real Estate Investing Guide Deal of the Day, Sponsor, Non Fiction, Business and Money, Real Estate Investments, Real Estate Investment Guide) by John Larson, Keith Weinhold. Price: $1.99. Genre: Real Estate Investing Guide Deal of the Day, Sponsor, Non Fiction, Business and Money, Real Estate Investments, Real Estate Investment Guide. Rated 5 stars on 2 review. 66 pages. Paperback version! ASIN: B07GV3ZY1Y. *Allergic to Average: How to Ditch the Rules & Do Business and Life Your Way (Paperback) (Business Non Fiction Deal of the Day, Sponsor, Women and Business, Business Mentoring and Coaching) by Cassie Howard. Price: $11.11. Genre: Business Non Fiction Deal of the Day, Sponsor, Women and Business, Business Mentoring and Coaching. Rated 5 stars on 1 review. ISBN: 1794361502.